Please stop by the office upon your arrival. Please remove your outdoor shoes before entering the studio. We provide shoe mats and cubbies in the office so that we can keep our beautiful cork floor clean! If you do not have your own Pilates mat, we can provide one for you. 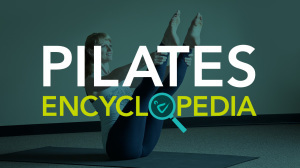 Pilates mats need to be a minimum of 5/8 inch thick to support your spine adequately. Be sure to inform the instructor before class of any injuries or limiting conditions you may have. Arrive 10 minutes early for your first session so you have time to fill out a consent form. Wear comfortable, fitted clothing that allows for ease of movement. Loose shirts can get in the way. Please practice either with bare feet or in socks with grips on the bottom. Our cork floor is too slippery in regular socks. Refrain from eating one hour before coming to class. Please do not wear any perfumes or scents in the studio. Please turn off all cell phones and beepers and electronic devices. Please make every effort to arrive on time to change, set up your mat, gather your props, and chat with the other lovely folks before class. Concord Pilates is also a teacher training facility. Please note that, on occasion, trainees will observe and assist in classes & sessions.